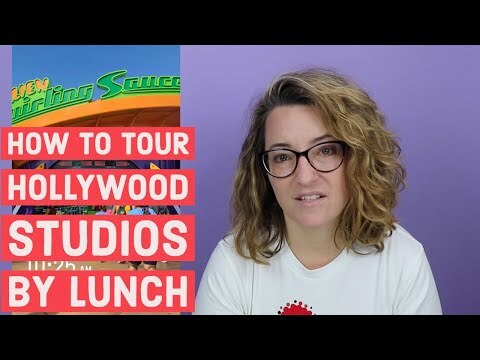 Worried about long waits for Hollywood Studios attractions? Having well-organized touring plans that make good use of FastPasses is key to avoiding long line waits during your Disney World trip, including at Hollywood Studios. 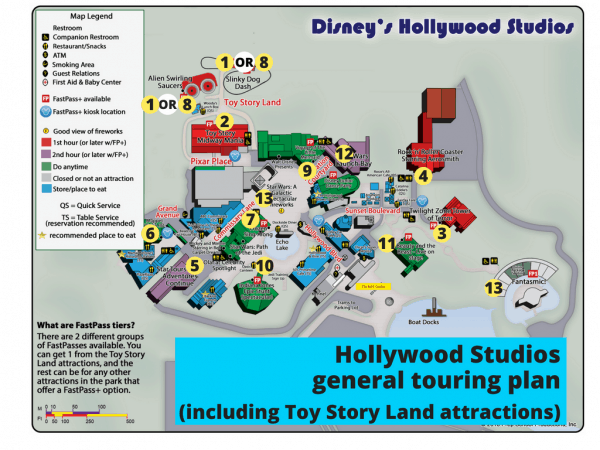 Below, find Hollywood Studios touring plans, along with FastPass+ suggestions to make sure you're maximizing your time. What about Rider Switch (sometimes called Child Swap)? Is it possible to see both Fantasmic! and Star Wars: A Galactic Spectacular on the same night? Want to show up late or park hop? 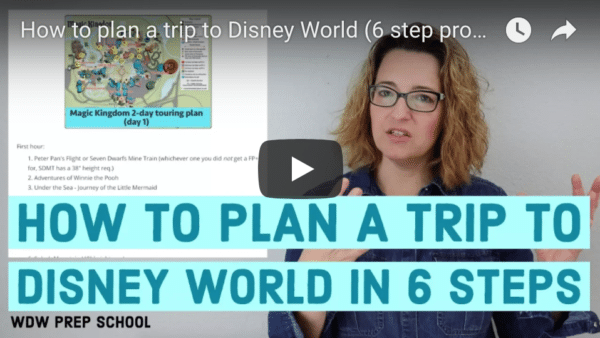 Looking for touring plans & FastPass+ suggestions for the other Disney World theme parks? Want to stay up-to-date on all the recent Hollywood Studios construction? You can pick one from Tier 1 and two from Tier 2. You can't pick 3 things from Tier 2 as an alternative. 1 from Tier 1, 2 from Tier 2. Here are the FastPass+ options at Hollywood Studios. To make the best use of your time, arrive about 45 minutes before park opening. Hollywood Studios usually allows people in before the official opening time. Guests are stopped at the end of Hollywood Boulevard until the park opens. Between the time you enter and the time the park opens, you can get PhotoPass pics taken, sign up for Jedi Training Academy, shop in some stores on Hollywood Boulevard, and grab some Starbucks at Trolley Car Cafe. Because of the tiers that are in place, you should plan to show up at rope drop/park opening (arrive about 45 minutes before park opening) and ride the things that you won't have FP+ reservations for. 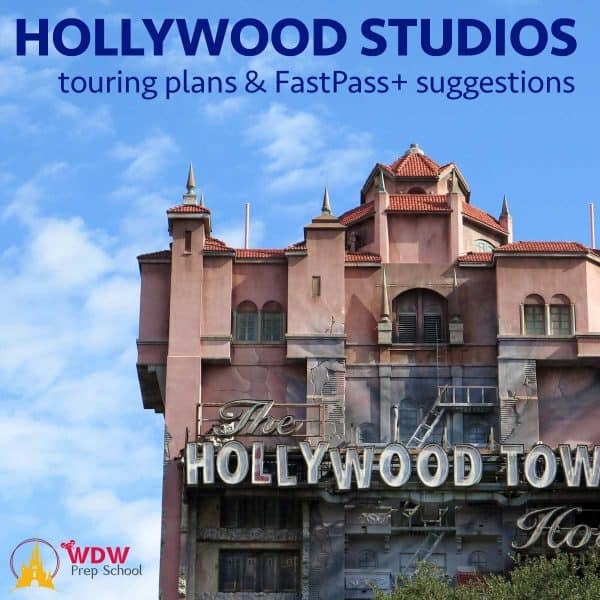 In the Hollywood Studios touring plans below, we've given suggestions on when to make FP+ reservations. Rock n Roller Coaster also has a single rider option. 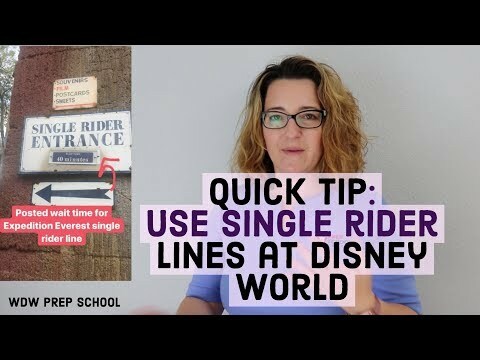 Here's how single rider lines work. I like to organize my touring plans by hour because minute-by-minute touring plans can make you feel like you’re running from place to place without any flexibility, but grouping them by hour can give you some sense of timing as you plan. Here are some example Hollywood Studios touring plans. Three of the attractions on this plan have height restrictions, however they are all relatively mild. If you have a little one that doesn't meet the height requirement you can use Rider Switch for the other members in your party or swap out the attraction(s) with one from the "Rest of the Day" portion of this touring plan. 3. Disney Junior Dance Party! The Rider Switch system allows parents to take turns riding things that little ones can't/won't ride. Please read my Rider Switch article so you can see how to use it and maximize your FastPass+ reservations. Unless Fantasmic! is scheduled for twice on the day you are visiting, it is almost always impossible to see both shows in their entirety on the same night. We cover more information on viewing both in our Fantasmic! and Star Wars: A Galactic Spectacular FAQ. Want to sleep in or spend the first part of the day at another park? If you want to arrive late at Hollywood Studios, be sure to snag a FastPass+ for busy things like Toy Story Mania, Slinky Dog Dash, Tower of Terror, or Rock 'n' Roller Coaster. Check out our guides to everything we know about the new Star Wars Land, which will be opening August 29, 2019.